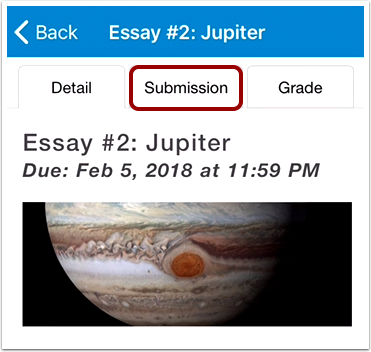 How do I view assignment comments from my instructor in the Student app on my iOS device? You can view comments from your instructor as part of your submitted assignment. You can also make a comment in your assignment. Any comments from your instructor display in the window . Your instructor may also leave media comments . To play a media comment, tap the Play icon . 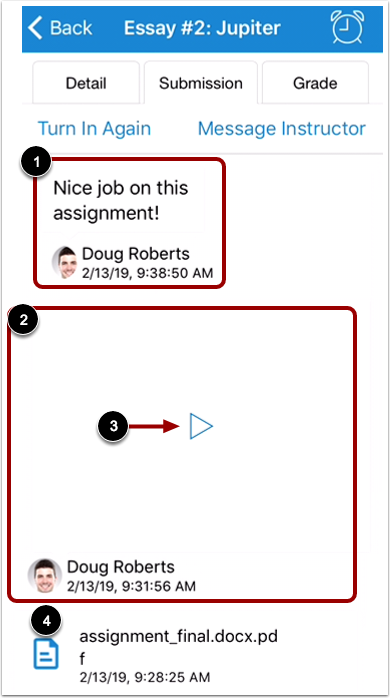 Your instructor can also leave document attachments on your assignment submission . 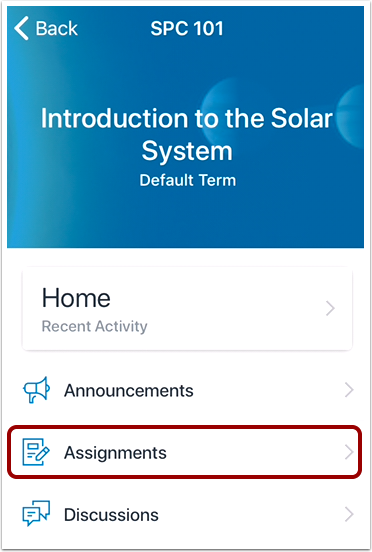 If your instructor has left annotations in your document submission, you can view the annotations by tapping the name of the submission. View the document annotations. 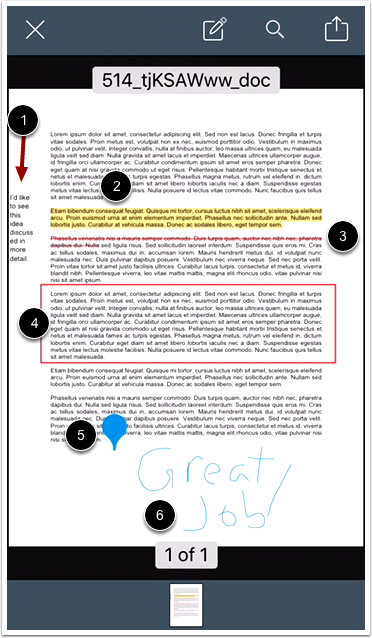 Document annotations may include text comments , highlighted text , stricken text , area annotations , point annotations , and drawings . Point annotations include comments. To view the comment, tap the point annotation. Your instructor may also choose to leave comments in your assignment rubric. 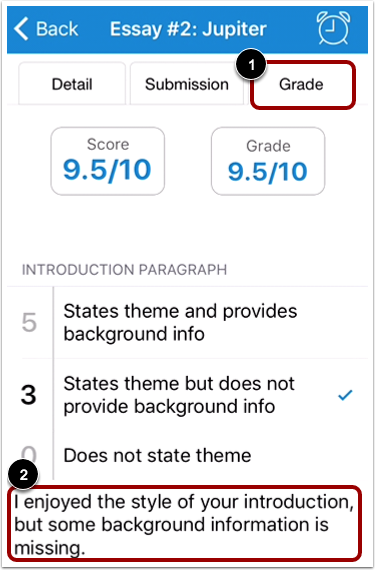 To view rubric comments, tap the Grade tab . 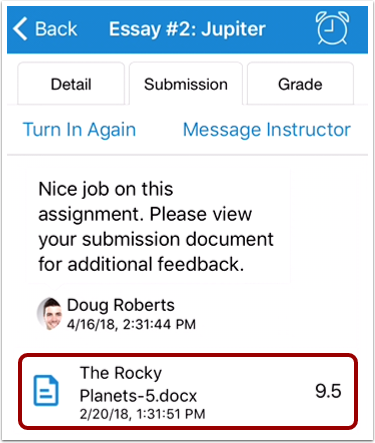 Any assignment comments will display in the rubric . Previous Topic:How do I verify my assignments were submitted in the Student app on my iOS device? 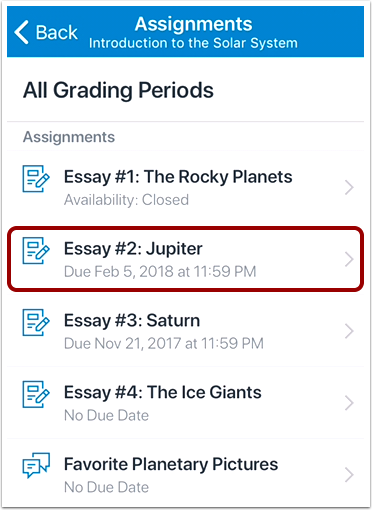 Next Topic:How do I make a comment about an assignment in the Student app on my iOS device? 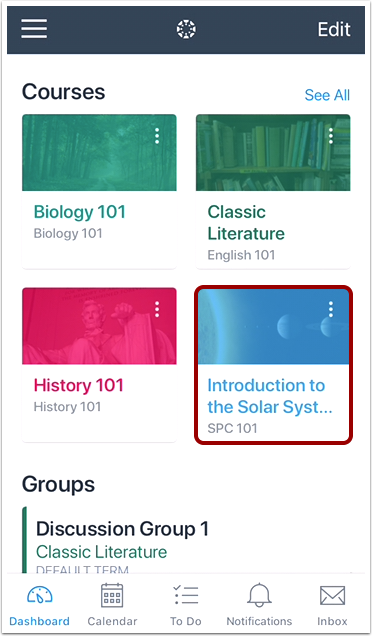 Table of Contents > Course Features > How do I view assignment comments from my instructor in the Student app on my iOS device?